Where Are They Now: Whatever Happened To That Kid From ‘Call Me By Your Name’? Everyone who was around in late 2017 remembers the fresh-faced young actor who burst onto the Hollywood scene with his riveting performance as Elio in Call Me By Your Name. The kid was absolutely everywhere back in the day, even gracing the cover of the March 2018 issue of GQ. But fast-forward to today, and the 22-year-old still hasn’t appeared in anything new, prompting fans everywhere to ask: Whatever happened to the kid from Call Me By Your Name? Seriously, where did that guy go? For those who aren’t total cinephiles with encyclopedic memories, the young actor’s name is Timotheé Chalamet, and in early 2018, he was making the rounds on all the talk shows. So how did such an icon of the late 2010s seem to have totally fallen off the map? A quick glance at Timothée’s IMDB page tells a pretty depressing story, with a list of impressive film credits leading right up to a couple of months ago, when there’s suddenly a huge, depressing drop-off, with absolutely nothing slated for release within the next few days. The star’s Instagram and Twitter are similarly dead, with his most recent posts still referencing his time at the 2018 Oscar Awards. Damn. We really thought this kid was going to be big. 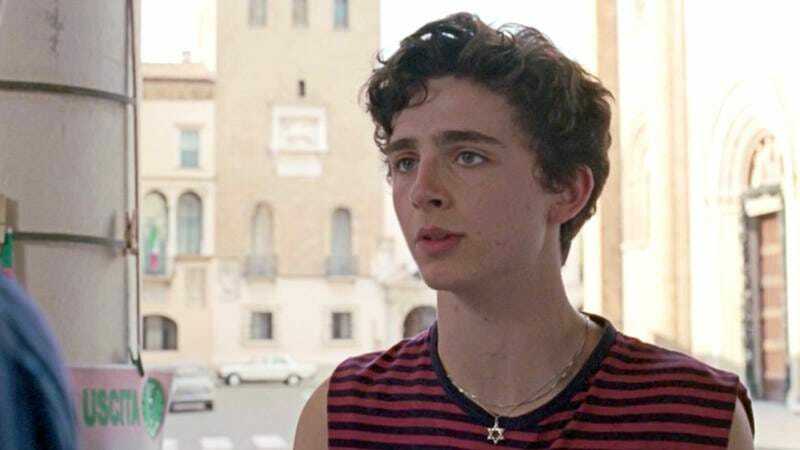 There’s no doubt that Timothée did a great job in his breakout role, but with Call Me By Your Name almost all the way out of theaters, it’s pretty crazy that he still hasn’t released even one major follow-up. There was a time when you couldn’t look in any direction without seeing a picture of the young actor or watch a clip of a reporter asking him for his thoughts on the Pyeongchang Winter Olympics, but now, it takes a pretty significant amount of digging to find a photo of him that isn’t almost 24 hours old. It’s honestly depressing to see an actor with so much potential go to waste, but in Hollywood, this kind of thing happens all the time. Who knows, maybe one day we’ll see Timothée return to the big screen, but if the last couple of minutes are any indication, it’s not looking likely.